Torria, located 437m meters. s. l.m. in the hinterland of Imperia, offers its guests beautiful scenery ranging from the sea of Imperia, only 15 minutes to the Maritime Alps bordering the border between Liguria, Piedmont and France. Our house is located in the town center next to the old church, is made up of three distinct cores connected by a corridor outside. The first group is composed of a small hallway that separates the two double bedrooms both with ensuite shower pirivato, the second core is composed of a large living area where there is a kitchenette with a dining area, relaxation area with sofa and TV and a toilet service antebagno with sink and washing machine. In the third and final nucleus is a small hallway that separates the three bedrooms: one double, one to one and a half and one quadruple all with private facilities. The exterior corridor opens into a large sun terrace where you can enjoy an unparalleled view open on the typical Ligurian hills 'Terrazza' until you see the sfomdo the Maritime Alps. Our house is ideal for groups, families who have the pleasure of holidays in the company and at the same time enjoy the Privacy of your own room with bathroom. The price includes bed linen, bath and kitchen. Staying with us is ideal for those who want to spend their holidays in the calm at the same time only 15/20 minutes from the beach of Imperia, in 40 minutes to 1 hour from Sanremo and Montecarlo. Peaceful and quiet with gorgeous panoramic views of the Italian alps. Fantastic place! The house was amazing. Very clean, lots of space and it had all the amenities you could ever need, including internet. The surrounding area was very beautiful with gorgeous panoramic views of the Italian alps. The area is very quiet and peaceful during the day and the evening. If you have a car there is a nice cafe with delicious Italian coffee and pastry about 10 minute drive and there is grocery shopping and the train station and the sea about a 20 minute drive so this house is in a perfect location. There is a big fig tree next to the front door so i enjoyed reaching out and picking a fresh fig to have with my breakfast each morning. The hosts Mara and Davide are wonderful. They are very friendly and do everything they can to make sure your stay is comfortable. Communication with them was perfect and they are always available for you. Overall this was a perfect stay in the perfect place. 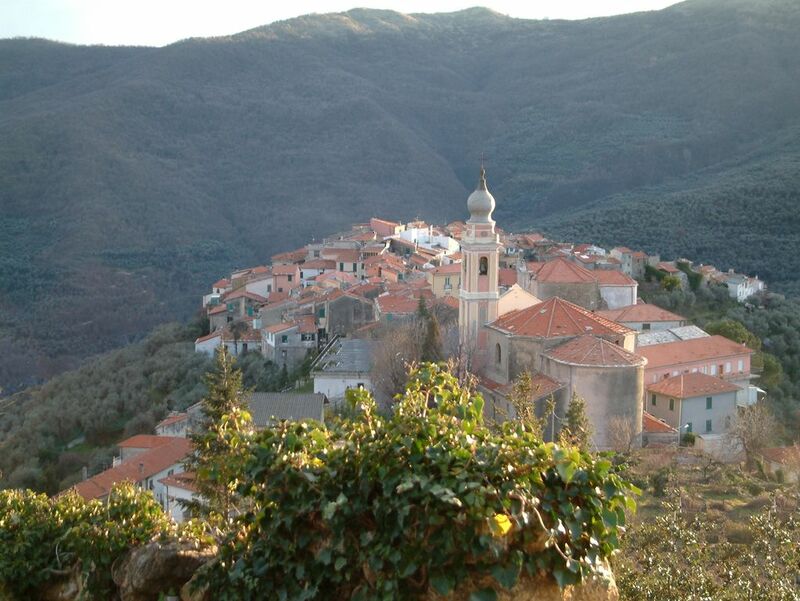 Torria, situated 437 meters s. l.m. in the hinterland of Imperia, offers its guests beautiful scenery ranging from the sea of Imperia, only 15 minutes to the Maritime Alps bordering the border between Liguria, Piedmont and France.